Order your business checks from us the next time you order estimate forms or stationery items. Tear-away voucher has room to record all the details. Two bottom stubs. Choose consecutive or reverse numbering. Choose from Blue, Gray, Green, Maroon, Tan or Violet. Size: Overall form 8½" x 11" - Check 8½" x 3½". 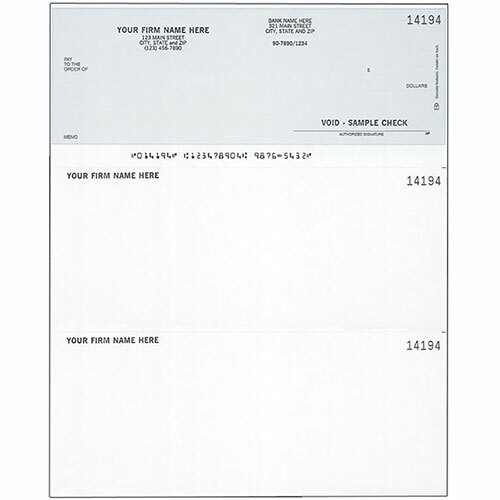 A voided check is needed to complete order.